Was listening to the local sports talk off WiBw - -out here in Topeka. - -they were talking to I think his name maybe was FitzGerald can’t remember I think he is the beat writer for K-State sports. Talking about how a lot of people were saying they didn’t want to see Coach Synder leave with a tarnished reputation where the program has fallen back to close to where they were when he came back and took back over from Prince. - -A lot of People are talking like they want to see him retire NOW. I agree its time for Snyder to move on forsure, but I wouldn’t count them out for a Bowl game at this point. They have TCU then KU in the next 2 Saturdays. Now if they win both they still need a win over ISU or Tech to become bowl eligible but stranger things have happened. If he doesn’t make a Bowl game returning pretty much his whole offense then he should be let go. IT pretty much comes down to if the Athletic department has the spine to stand up to him because it’s a hostage situation at this point. KSU football was nothing before Snyder and it’ll be nothing after Snyder. They’d better ride these last couple years out. Even a losing it Snyder is a better coach than KU has had, maybe ever. That really hurts to type. KU football is a joke. 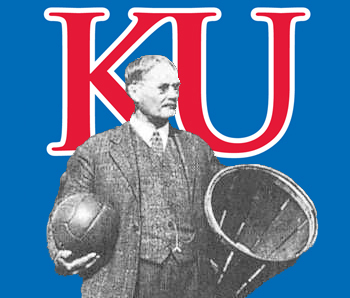 @kjayhawks I guess from what I heard was there is a lot of unrest with the team – transfers coming and such - -pretty sure , they were also mentioning this – sounds like some friction. - possibly like your saying now is the time , even Synder said he didn’t know if he had the answers for this team, pretty tired. - -FitzGerald said when he was doing the interview that there was just something different , said for sure this team was digressing. Snyder’s stubbornness made him a very good coach, but it also kept him from ever becoming a great one. Snyder was insistent on doing things his way. As a result, he never tried to upgrade KSU’s overall talent base to include more four star prospects. That meant that even as the rest of the conference upgraded their coaching staffs, he never upgraded his talent to match theirs. Look around the Big 12 now. Where does KSU have a distinct coaching advantage? I’d argue that they don’t have a significant advantage over anyone other than KU. And with KSU’s talent deficit, that makes winning in conference pretty tough. Add to that the fact that college football has changed over the last 30 years. When Snyder started at KSU, you could schedule four non conference games and play your other seven conference games. If you scheduled four easy wins, you could go 2-5 or 3-4 in conference and still advance to a bowl. Then it was 12 games, but the same four non conference, with eight conference games. You could go 6-6 and make a bowl. Snyder took full advantage of this. Excluding his first year when the team went 1-10, Snyder’s teams lost seven regular season non-conference games between 1990 and 2005. That’s 16 years. Snyder basically scheduled himself four guaranteed wins just about every season. Snyder still doesn’t lose many non conference regular season games now (seven more over the last 10 years), but he only gets three non conference games now instead of four. On top of that, he’s no longer coaching in college football’s desert, having weak programs at KU, MU and Iowa State to regularly pick up wins against. When Snyder started, he had seven wins on his schedule before he played a single game (maybe eight when Oklahoma State was down). Now, he has three or four. He has to scuffle to get bowl eligible. And in three of the last four years (including this one) KSU has had to scramble down the stretch to get enough wins to get bowl eligible. Snyder can’t schedule his way to a bowl (Big 12 put pressure on K-State to schedule stronger non conference opponents or be shut out of the early season TV schedule), so he has to have a P5 team on the slate. He can’t pick on anyone in conference (other than KU right now). There’s no clear path back to success for KSU because Snyder’s blueprint depended on scheduling weaker opponents in non-conference and honing his execution against teams that couldn’t blow him off the field with talent. Without that, Snyder is stuck. This was always how it was going to end for KSU. Snyder elevated their win total without ever elevating the program. It was a mirage of success built mostly on the struggles of other programs around him. It’s time to pay the piper. @dylans I agree, he is the only one that has had any sustained success there. However I’m not a guy that believes he’s near as good as their fan base thinks. He has a losing postseason record, .33 win percentage against ranked foes, .12 win percentage vs top 10 ranked foes, has only beaten a ranked team twice when he himself was not ranked and has a losing road record. Snyder is good at getting under talent teams to play mistake free and at a higher level than they should. He is best at beating weak teams at home and they are known to schedule 7-8 home games each season. He hasn’t been great since his return outside of 2012 with a class that Prince recruited by the way. The old days when he drew the easy south schedules were his best days. @justanotherfan Snyder did make an effort in the late 90’s and early 2000’s to go after a lot more 4 and 5 star players. Those players largely had no interest in coming to KSU and led to their slide after 2003 and Snyder’s first retirement. Iowa state is not a team that he can take for granted any more- -I’m really impressed with the Coach Iowa State now has - -that’s no longer an automatic win like they used to be for Synder . They was mentioning yesterday on the cast - saying that they truly believe they miss out on that possible National Championship a few years back when they had that pretty - -really good team how long ago was that? - -3-4 years ago? they said.